The Scene: During the film’s opening sequence, General Hux talks to Poe Dameron via comm link. Dameron makes an antagonistic allusion to Hux’s mother. I Say: He’s not wrong about the original movies having that fun spirit to them. Just a few minutes into the original movie, Threepio and Artoo comedically rush through a barrage of blaster fire. So we can’t say that humor hasn’t been part of the franchise’s DNA from the get-go. Frankly, a lot of The Last Jedi‘s jokes landed with me. Still, I wonder if given the chance to go back and chance things, Rian Johnson wouldn’t take that “…about his mother” line out. This entry was posted in Movies and tagged Domhnall Gleeson, General Hux, J.J. Abrams, Lawrence Kasdan, Michael Arndt, Oscar Isaac, Poe Dameron, Rian Johnson, Rian Johnson on The Last Jedi, Rob Siebert, Star Wars, Star Wars movies, Star Wars: Episode 8, Star Wars: Episode IV - A New Hope, Star Wars: Episode VII - The Force Awakens, Star Wars: Episode VIII, Star Wars: Episode VIII - The Last Jedi, Star Wars: The Last Jedi, The Last Jedi on 01/09/2019 by primaryignition. Politics have always been a part of Star Wars. After all, one usually can’t have war without politics. Such things have the spotlight at some points more than others. It’s as much at the forefront in Bloodline as any Star Wars story you’ll ever read. That works to its detriment at times. 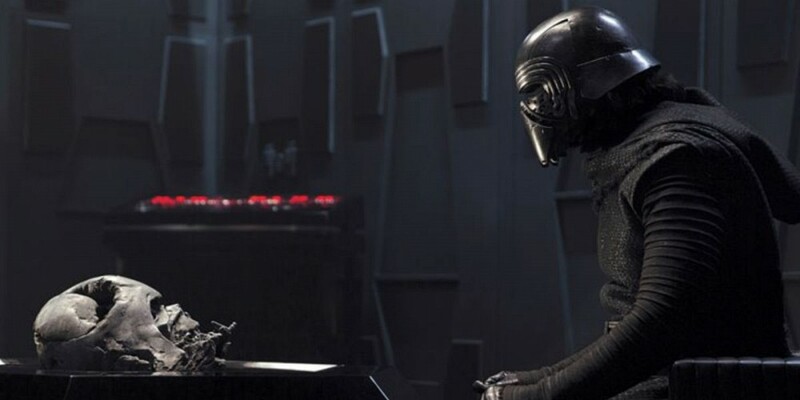 But ultimately, Bloodline reveals something that may turn out to be a very important factor in Ben Solo’s turn to the dark side. The book takes place over two decades after Return of the Jedi. The Galactic Senate of the New Republic is divided into two parties. First are the Populists, of whom Leia is a prominent member, who believe planetary authority should be retained by the individual worlds themselves. In contrast, the Centrists believe planets should be governed by a larger government and a more powerful military. Sadly, these two groups are more divided than ever, as such leaving the Senate largely unproductive. But when representatives from the planet Ryloth alert them to the emergence of an organized criminal element, Leia stumbles on to the foundation of a new war for the fate of the galaxy. 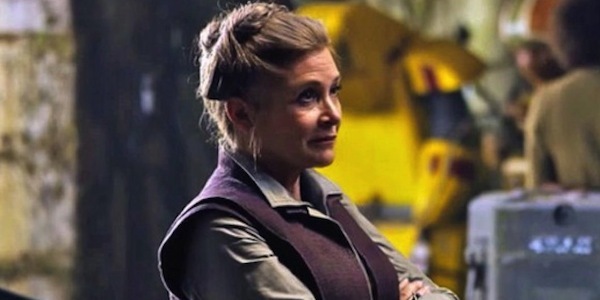 But Leia is also about to face personal adversity. A secret will be revealed that few have ever known. Even two decades after his death, the shadow of Darth Vader looms heavily. The imagery and marketing associated with Bloodline is somewhat misleading. It leads you to believe much of the book is about Leia being nominated for First Senator, more or less the equivalent to what the Chancellor of the Republic was in the prequels. 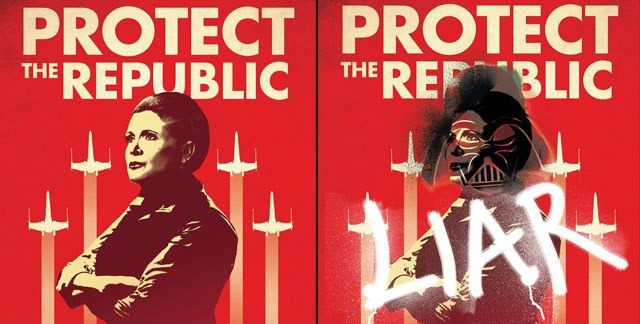 It even comes with a double-sided “Vote Leia” poster, which on the flip side is defaced with an image of Darth Vader and the word “traitor.” In truth, the book has little to do with Leia being part of an election, and more to do with the unraveling of who the criminal group is. This is frustrating, but it doesn’t necessarily tarnish the book. Once we get into the second half, and the Vader element comes into play, things really pick up. One of the reasons many fans soured on the prequel trilogy was the emphasis on politics, and the happenings in the Senate. Such fans will want to avoid Bloodline. It’s less about the action and more about the intrigue. There’s nothing wrong with that. But as much a die-hard as I am, I had trouble staying interested at times. Mostly during the first half. Though it plays the political card pretty heavily, Bloodline is somewhat timely for those who are so inclined. The book is largely about a political body heavily divided in its beliefs as they try to elect a leader. If you pay even the most remote attention to the news, that should sound familiar. It even offers us a little ray of hope, as we see Leia learning to trust and befriend a Centrist senator. Apparently even in a galaxy far, far away, one can reach across the aisle now and then. One of the great things about new Star Wars stories in 2016 is that there’s so much fertile ground to cover between Return of the Jedi and The Force Awakens. In various Star Wars novels and comic books (including Claudia Gray’s other Star Wars book, Lost Stars), we’ve been getting bits and pieces of the state the galaxy is in, what happened to the Empire, etc. Bloodline offers a lot of that, including how the First Order and the Resistance were formed. Reportedly, Rian Johnson, the director for Episode VIII, contributed ideas for this book. I’d be floored to learn that either Johnson, or someone on the inside at that movie didn’t float that to Gray. That’s too integral a detail to Ben’s turn to the dark side. 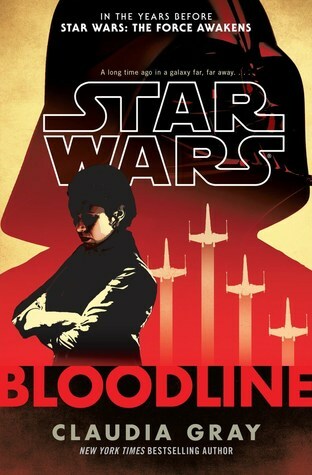 Bloodline isn’t the most thrilling Star Wars book you’ll ever read. Readers will definitely feel its length at times. But it offers an abundance of something many fans are looking for these days: Information. Casual fans may want to leave it on the shelf, but die-hards will gobble this up like a Sarlacc Pit devouring their favorite bounty hunter. Image 1 from stormtrooperlarry.wordpress.com. Image 2 from cinemablend.com. Image 3 from screen rant.com. This entry was posted in Books and tagged Ben Solo, book reviews, Claudia Gray, Darth Vader, Del Rey Books, Han Solo, novel reviews, politics, Princess Leia, Rian Johnson, Rob Siebert, Star Wars, Star Wars books, Star Wars: Bloodline, Star Wars: Episode 8, Star Wars: Episode VIII, Star Wars: The Force Awakens on 05/20/2016 by primaryignition.